We’re still in the thick of the winter cold. If you’re finding that it’s getting the better of you, layering closer to your body with the right kind of winter wear may well be the antidote to fight back. I came to know that Smartwool was the optimal way to do this when I first reviewed their Next-to-Skin Baselayers (Mid 250 Pattern Crew Top and Bottoms). Whenever there’s been a day when I knew that cold would bite to the bone, I’ve relied on my Smartwool base layers for toasty insulation. The bottoms have always been soft and have always provided just the right amount of warmth when the temperatures have warranted wearing them. With the top, it’s always been the warmest option in my armory, but since cyclable weather doesn’t quite reach the bitter temps before the infamous Northern Utah inversion hits, it sometimes may do the job a bit too well when I’m working up a sweat. Luckily for me, Smartwool offers a wide range of thermal wear with varying degrees of thickness and warmth. For those in-between days when I was finding a balance between the temperature drop and the heat from blood flow, I needed a milder top that was also a bit less woollike in its texture—something that let me forget that I was wearing it, even. 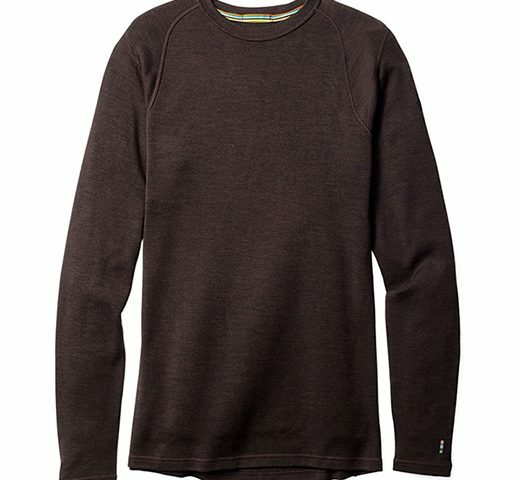 The Merino 250 Baselayer Crew found its way to me, and it’s an impeccably comfortable base on which to build in a handful of effective ways. Just wearing this base layer is, well, comforting in and of itself. I realize that I feel cozy if I think about how it feels to chill in this shirt. When it comes to putting it into action, it performs well. When autumnal mornings are crisp and I’m workbound on my bike, pairing theMerino 250 Baselayer Crew with my Adidas windbreaker makes for a comfortable combination. Riding fast and facing the winds in late October with this kind of pairing feels measured for the commute at hand. Returning home in the evening with these garments on gets a bit warmer (I usually ride back up a couple hills), but it’s still a solid way to maintain the balance of cold protection while not overheating. Fast-forward to this time of year and the months leading up to the frozen zone, and theMerino 250 Baselayer Crew insulates with equilibrium, still, when paired with my Black Diamond Cold Forge Down Hoody. By and large, the thermal base keeps me warm—the primary function of any base layer. As the sun shines and my circulation increases, however, I don’t feel like I’m risking a hypothermia-inducing sweat while on the hill or cycling. 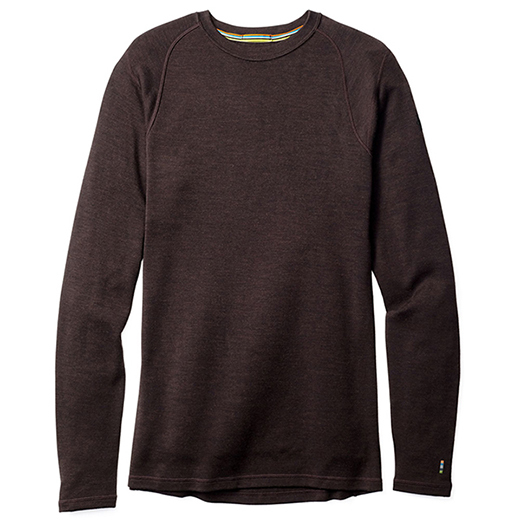 This is due to the 100-percent merino wool, which breathes, and the shirt’s sweat-wicking properties. Basically, you won’t regret overdressing if you build up from theMerino 250 Baselayer Crew. I mean, we’re not in a wind-chill area of the country, let alone in the climes of the arctic or anything like that.